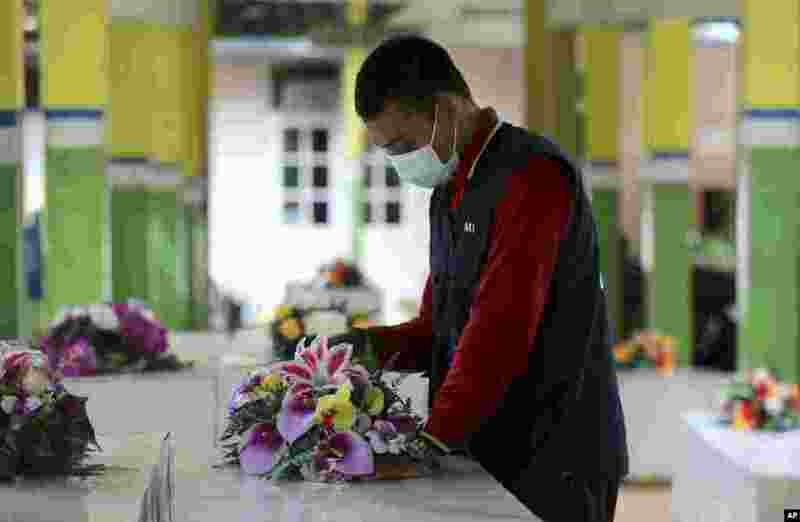 ۱ A member of the Indonesia Red Cross prepares coffins for the victims of AirAsia Flight 8501 at the main hospital in Pangkalan Bun. More ships arrived Friday with sensitive equipment to hunt for the fuselage of the flight and the more than 145 people still missing since it crashed into the sea five days ago. 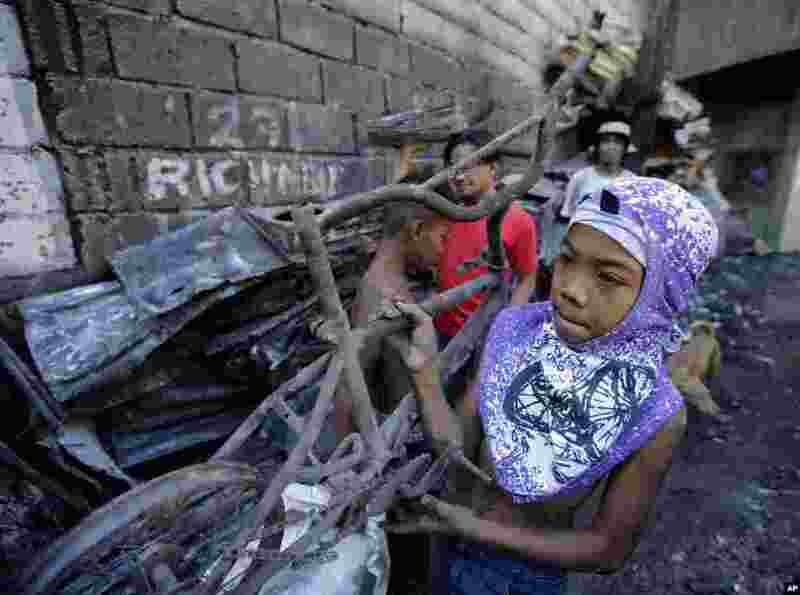 ۲ A boy, who lost his home in a huge fire on New Year's day, carries a burnt bicycle at suburban Quezon city, north of Manila, Philippines. The fire, believed to have been ignited by firecrackers, razed hundreds of homes Thursday in one of more than a dozen fires reported across the country as Filipinos welcomed the New Year. 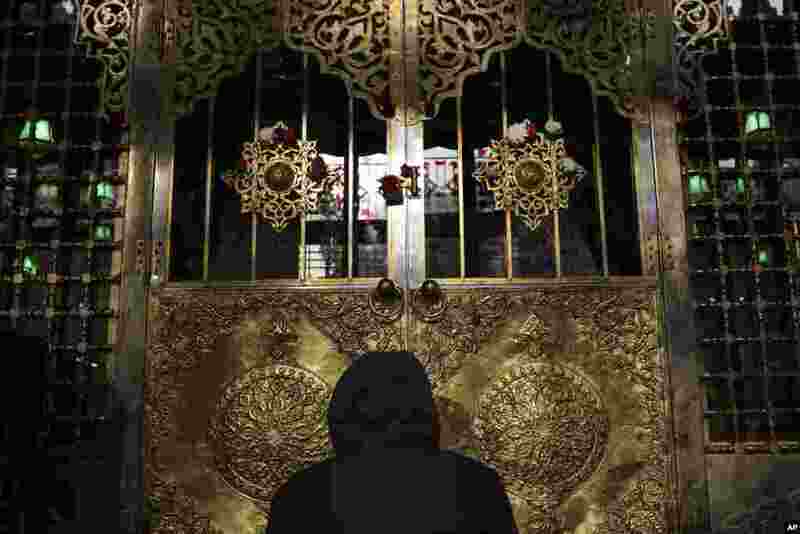 ۳ A man prays a day before Moulid, which commemorates the birth of Prophet Muhammad, the central figure of the Islamic religion, at a mosque in Cairo, Egypt. Every year, Egyptians celebrate Moulid by performing ritual dances and prayers and spending time with their families. 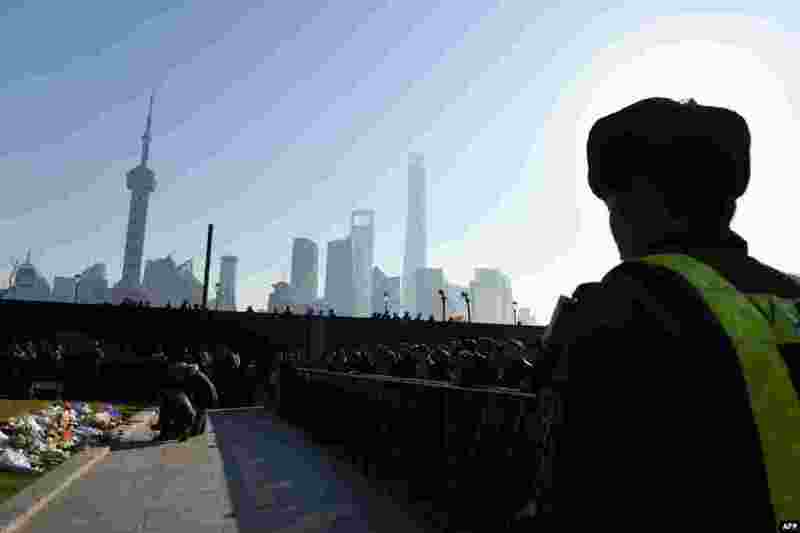 ۴ A security guard watches as mourners place flowers and burn incense at the site of a New Year's Eve stampede at the Bund in Shanghai, China. The New Year's Eve stampede shortly before midnight on the city's historic waterfront killed at least 36 revelers.